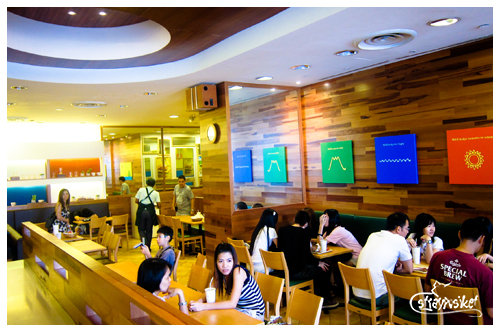 I've seen this fast food chain being raved about a number of times on Pinoy Exchange Forums particularly on the HK thread. 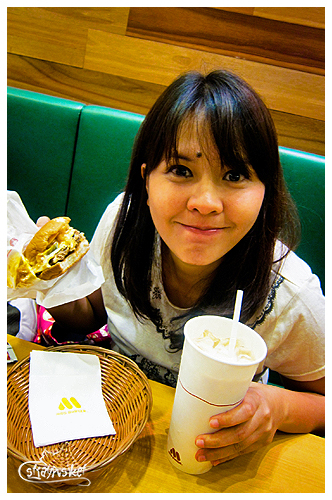 I always include MOS Burger on my "must try" list whenever I go to Hongkong but I always end up eating at my favorite local fast food - Cafe de Coral. While looking for our hotel on our first day I spotted one at Bugis Junction and made a mental note that I must try this during my stay in SG. I even took a photo so I won't forget. It was only on our last day when I finally got the chance to eat there. We all agreed to have our brunch there since it's the first one we saw at Bugis Junction and we were too lazy to walk again and look for another place to eat. 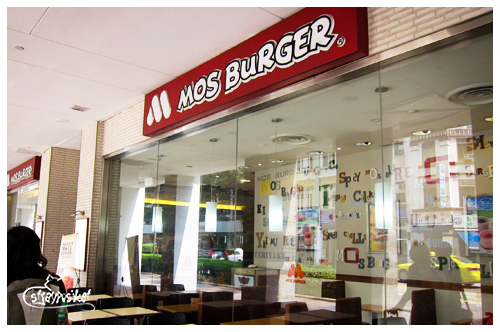 MOS Burger originated from Japan which explains the interiors. I had a hard time choosing from their wide selection of burgers. 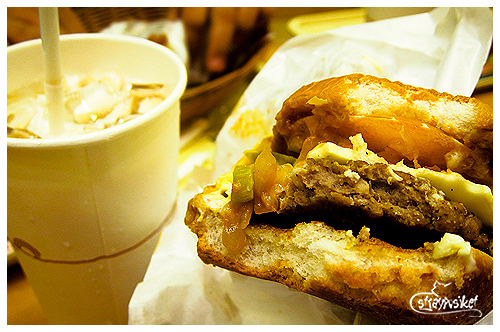 They've got the plain MOS burger, MOS Cheeseburger, Spicy MOS Burger or a combination - Spicy MOS Cheeseburger. 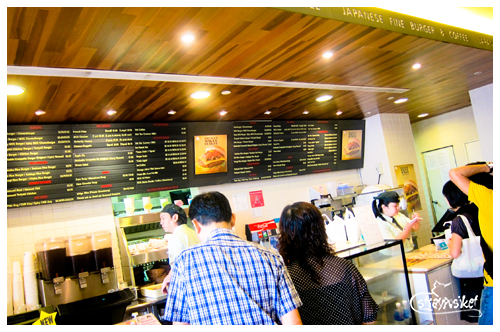 They also have the Japanese ones like the Unagi Rice Burger, Ebi Rice Burger, Chicken Teriyaki, etc. The Iced Milk Tea was actually a Cold Tea when served. We were only given 2 UCC creamers to go with it. 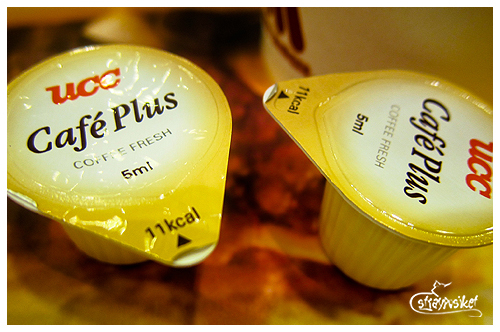 But if you're bitin like us, you can always get extra from the condiment counter. 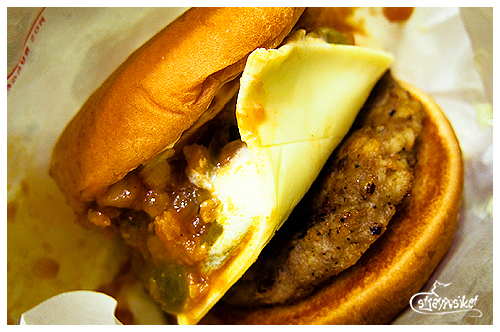 Spicy MOS Cheeseburger = Must try! 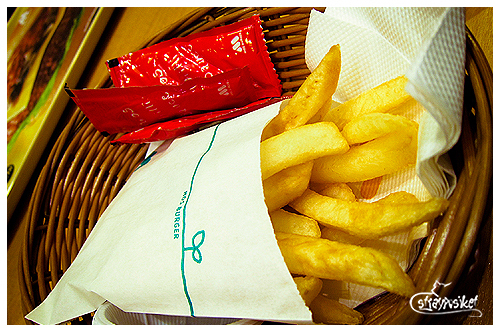 Fries = Bigger than the normal, not too oily and not too salty. 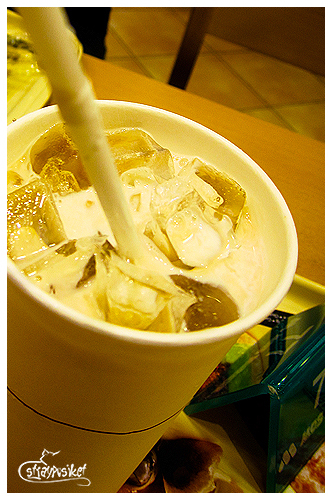 Iced Milk Tea = think C2 Green Tea with Milk. Haha. But it tastes good!